When choosing a baby formula, look for something organic, meaning it won’t contain GMOs, pesticides, or any traces of antibiotics or growth hormones. Organic baby formula on its own doesn’t inherently make your formula perfect, but it’s a good start. 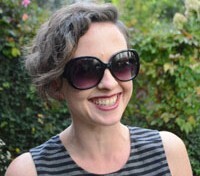 As for whether you should choose powder or liquid baby formula, powder is going to be the most cost effective option, but keep in mind that you’ll have to do all the mixing yourself. Liquid baby formula is more convenient, but in addition to cost, it will expire sooner (especially when mixed with baby’s saliva) and the bottle could contain BPA. Although there are many great formulas on the market, be sure to discuss the best baby formula options with your pediatrician first. I spoke with Aditi Patel, MD, a pediatrician with Premier Pediatrics in New York City, and she said that most baby formulas these days are regulated and contain the same stuff across the board: cow’s milk, a protein source (like whey and casein), a fat source (blended vegetable oils — though try to avoid palm oil which may be difficult for babies to digest and studies show may decrease bone density), a carbohydrate source (lactose), and a mix of vitamins and minerals. With these guidelines, we’ve put together a list of the best baby formulas out there. Take a look and choose what’s right for your baby. 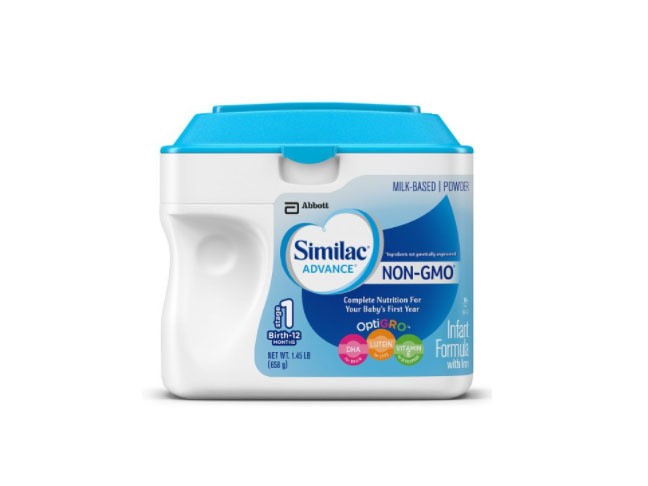 Similac’s non-GMO version boasts an exclusive blend of nutrients that support brain and eye health as well as cell development in infants. 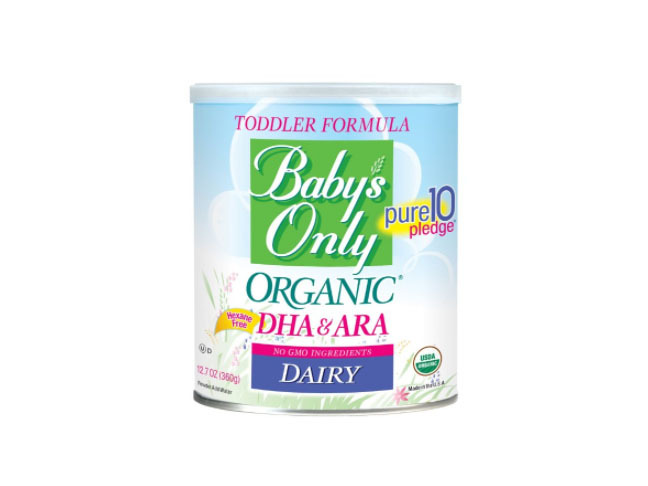 Made for 12- to 24-month-olds, this easy-to-digest non-GMO formula is great for those sensitive to cow’s milk. 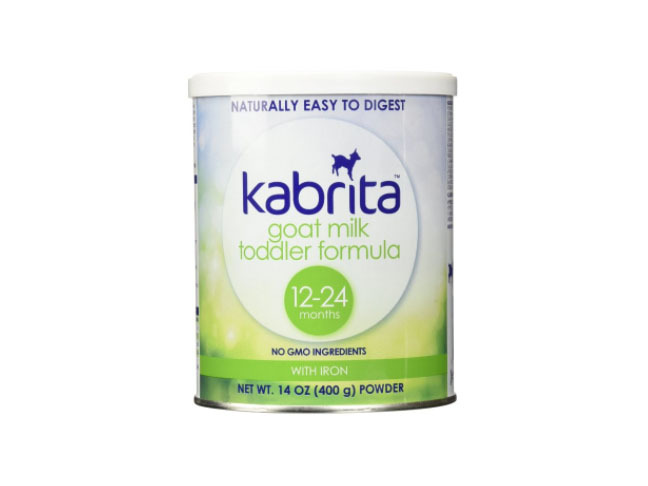 With a mild, sweet flavor, Kabrita contains 22 vitamins and minerals (including folic acid, DHA, ARA, and iron), and is free of antibiotics, growth hormones, and preservatives. This hypoallergenic, lactose-free formula for babies up to a year old is a great option for colicky babies (it can manage colic due to cow’s milk protein allergies within 48 hours). 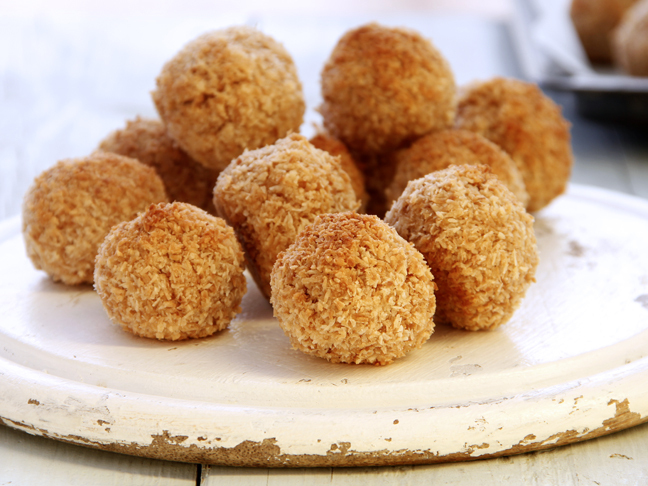 Nutramigen contains DHA and ARA (both found in breast milk), and probiotics which make it easy to digest. 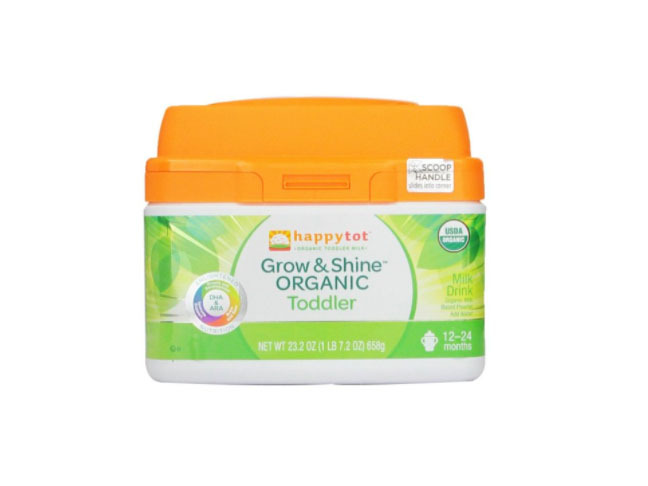 Happy Tot’s organic, non-GMO formula is fortified to support brain, eye, and immune system development in toddlers (12- to 24-months-old), while also containing 35 percent daily value of calcium and 30 percent daily value of iron. 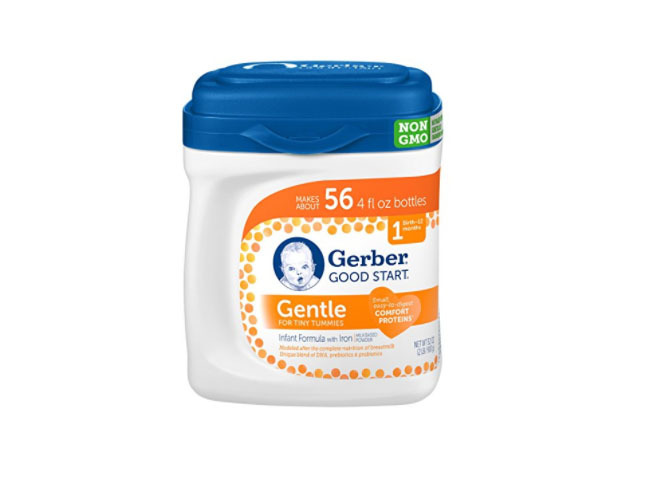 This powder formula for babies up to a year old comes very close to actual breast milk, thanks to milk fat globule membrane (MFGM), DHA and Choline, and lactoferrin which are found in breastmilk and support brain development and the immune system. 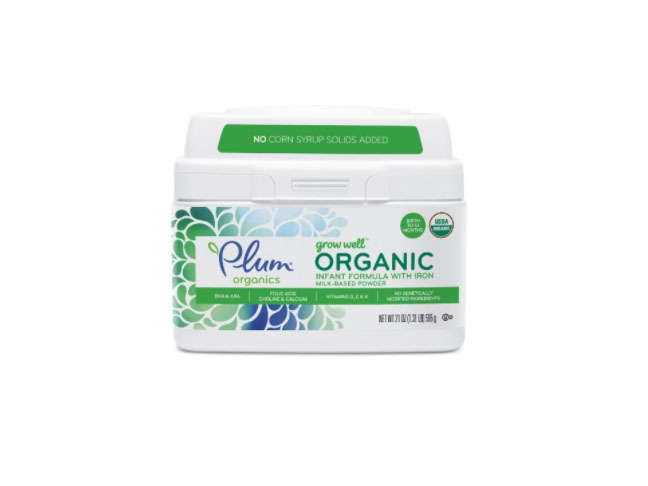 Unlike many baby formulas, Plum Organics does not contain corn syrup solids, instead relying on organic cow’s milk lactose as its only carbohydrate. The cows that supply the non-fat milk are fed organic grain and hay grown without synthetic pesticides or fertilizers. Made from organic brown rice syrup and sunflower oil (instead of corn syrup, palm oil, or GMO ingredients), this age 1+ formula is gluten free and contains alpha-linolenic acid (ALA), linoleic acid (LA), essential omega-3 fatty acids, and egg lecithin which supply DHA & ARA. 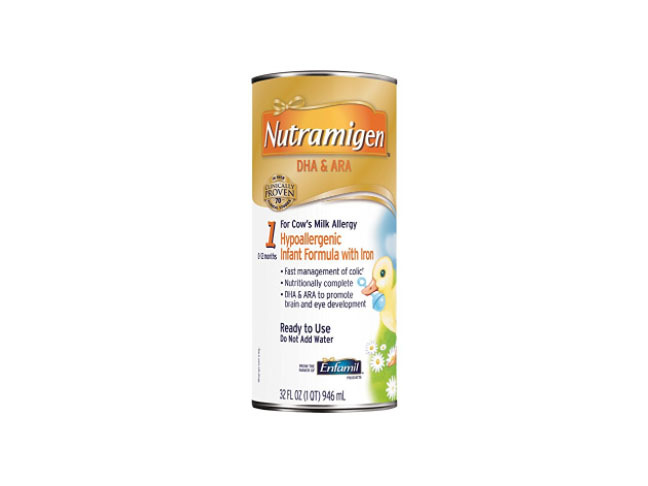 Made for babies up to a year old, this non-GMO formula contains small proteins that are easier for babies to digest. A close second to breastmilk, this formula blends DHA, probiotics, and probiotics to support brain development and immune health, and promotes soft stools if constipation is an issue for your baby. 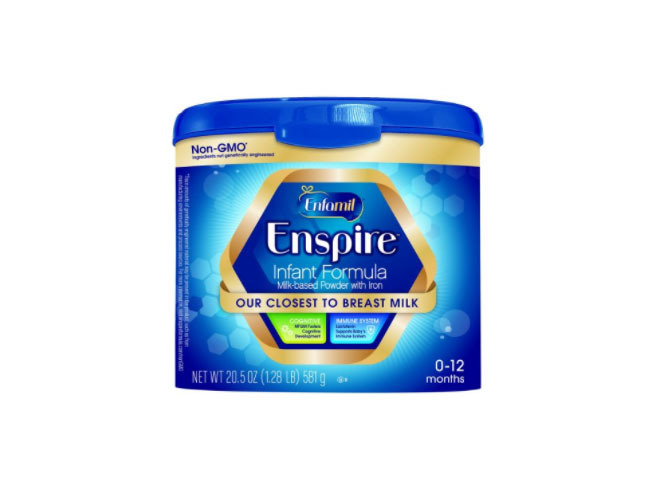 Earth’s Best milk-based powder is formulated with all lactose and contains no corn syrup solids, making it a close replica of breast milk. It contains DHA and ARA for brain power, lutein for eye health, and prebiotics for the immune system. 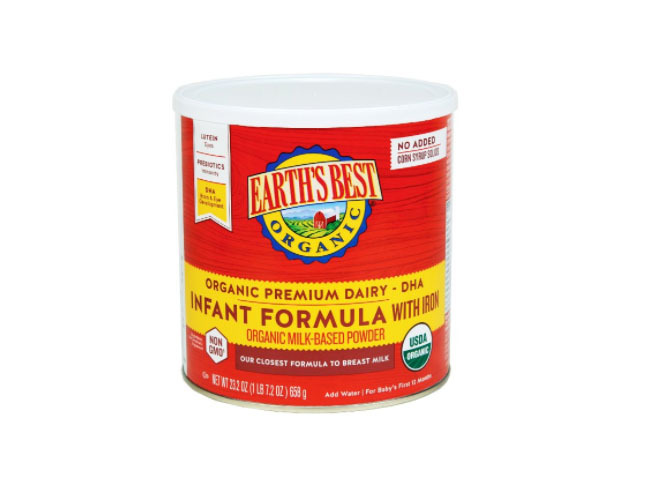 Earth’s Best is also organic and kosher, and contains essential fatty acids, minerals, and vitamins for excellent infant nutrition.